HiBreeds Flag Flies High - HiBreeds are honoured and delighted to be awarded the 2011 Queen's Award for International Trade for outstanding achievement. Awarded by Her Majesty the Queen, on the recommendation of the Prime Minister, the award recognises HiBreeds' outstanding achievement and growth in export sales since 2007. 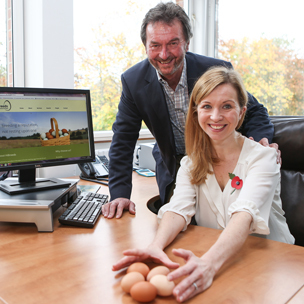 The company has currently sold in excess of 250 million eggs to Saudi Arabia and has achieved sales of more than £80 million since incorporation. For the last three years the company has been run and managed by Laura Chandler B.A Director. Laura says, 'We are delighted to have been recognised by Her Majesty the Queen for the hard work by our small team in achieving year on year export growth. The food industry has become a global operation. As our business is export based, the effect of the last two years of monetary chaos upon exchange rates, bank rates and financial exposure have been extreme'. 'HiBreeds' recognises that if the UK farming industry is to flourish, we have to sell our excellence to the rest of the world. We were extremely proud to carry the Queen's Award emblem in 2003 and are thrilled that, once again, we can carry this coveted emblem for another 5 years, as a reminder of the high standards for which we constantly strive'. 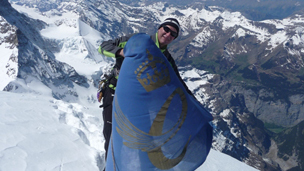 As part of the celebrations at the company's Swiss base, Rolf Schlunnegger raised the Queen's Award flag on the summit of the 13,474ft Mönch mountain in Switzerland - possibly the highest flag pole in Europe! 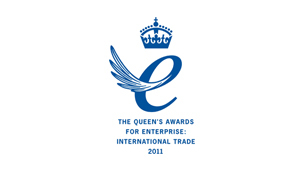 The Award is granted by Her Majesty the Queen for outstanding achievement in International Trade. Our company motto is 'breeding a reputation, not resting upon one'. We have been very proud to carry the Queen's Award emblem. The Queen's Award flag on the summit of the 13,474 ft Mönch in Switzerland.